Photos from the workshop are avaiable at miniPAGES picasa album. In recent years asymptotic methods play an increasingly prominent role in algebraic geometry and commutative algebra. A number of new tools and methods has been introduced and is intensively studied. The purpose of the school is to introduce the participants to this circle of ideas. Regardless of financial support granted, there will be a workshop fee of 100 PLN (ca. 25 EUR) used for social activities. All lectures will take place in Pedagogical University of Cracow (Podchorazych 2, 30-084 Cracow) in Audytorium im. Prof. Wincentego Danka, which is the main lecture room located near the entrance of the building. A route from the "Akademickie Centrum Hotelowe" hotel to the Pedagogical University is shown here. Line arrangements and recent research on linear systems of plane curves. Three different topics of recent research interest involving linear systems turn out to have surprising connections to line arrangements in the plane. Thus line arrangements will be used as a unifying theme to approach a range of recent results, methods and open problems. The first topic grows out of fundamental work of Ein, Lazarsfeld and Smith (Uniform bounds and symbolic powers on smooth varieties, Invent. Math. 144 (2001), 241-252) and Hochster and Huneke (Comparison of symbolic and ordinary powers of ideals, Invent. Math. 147 (2002), no. 2, 349-369) concerning containment relations between symbolic and ordinary powers of homogeneous ideals in polynomial rings and leads to work and open problems on asymptotic invariants of homogeneous ideals such as Waldschmidt constants and resurgences). Line arrangements have been crucial in developing our understanding of what containment relationships may be possible but much is still unknown. The second topic concerns bounded negativity and H-constants, in particular how large the average multiplicity of the singularities of a reduced singular plane curve can be. Line arrangements give some of the largest averages currently known, but how large these averages can be, even for line arrangements, is not known (Bounded Negativity and Arrangements of Lines, International Math. Res. Notices (2015) 9456-9471). The third topic concerns a generalization of the problem addressed by the SHGH Conjecture. The SHGH Conjecture classifies the failures of general points in the plane with multiplicities to impose independent conditions on the vector space of all forms of degree t. More generally, one can ask to classify the failures of general points in the plane with multiplicities to impose independent conditions on subspaces of forms of degree t. In special cases this leads to having to understand properties of line arrangements (arXiv:1602.02300), but only the most initial steps have been taken here. Participants will be exposed to many open problems and be given the background both to begin to explore these problems and to formulate additional problems of their own. Newton-Okounkov bodies are a convex geometric tool that has been successfully used to understand the asymptotic behaviour of line bundles or divisors on projective varieties. Originating in earlier works of Khovanskii and Okounkov, Newton- Okounkov bodies have been introduced to algebraic geometry by Kaveh-Khovanskii and Lazarsfeld-Mustata during the last decade. From a philosophical point of view, a theorem of Jow yields that the set of Newton-Okounkov bodies form a 'universal numerical invariant' for Cartier divisors, hence (at least in theory) one should be able to read off all numerical information of them, including positivity properties of the underlying divisor. In the course of these lectures we will introduce Newton-Okounkov bodies and study their relationship with various notions of positivity (both local and global) for divisors. Special emphasis will be put on the two-dimensional case, where Newton-Okounkov bodies can be effectively computed. With this done, we will have a look at how Newton-Okounkov bodies can be used to construct singular divisors, which then leads to effective bounds on syzygies for instance. This is an area of ongoing research to which the participants will be invited. For a homogeneous ideal I, its initial degree a(I) is defined as the least degree in which the homogeneous part of I of that degree is non-zero. The initial sequence of an ideal I is build up of initial degrees a(I,m) of all symbolic powers of I. This sequence has the subadditivity property and thus a limit b(I)=lim a(I,m)/m with m tending to the infinity. This limit is called the Waldschmidt constant of I. This is a very delicate invariant of I. It has been first studied by Chudnovsky, when he attempted to prove the Nagata Conjecture. This Conjecture predicts, roughly speaking, the rate of growth of the initial sequence of ideals of s general points in the projective plane for s greater or equal 10. In this situation the computation of the Waldschmidt constant is equivalent to the computation of the corresponding multipoint Seshadri constant and consequently to the Nagata Conjecture. On the other hand, recently, at least two generalizations of the Conjecture have been proposed: one in the language of Abhyankar valuations and another in the setting of general linear subspaces of the projective space (rather than simply points). In both settings it is desirable to compute Waldschmidt constants. Using valuations leads to consider filtrations more general than the sequence of symbolic powers, and to "Waldschmidt functions", convex functions intimately connected with Newton-Okounkov bodies. The participants will be introduced to these ideas, equipped with the tools and can explore some cases of the new formulations in the afternoon workshops. In the afternoons there will be time for research in groups and a limited number of communicates by the participants. 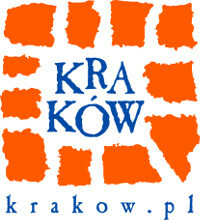 The conference is co-finansed by the Warsaw Center of Mathematics and Computer Science and partially supported by the program Cracow Science Conferences (Krakowskie Konferencje Naukowe).